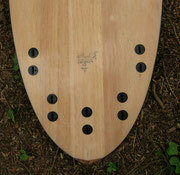 This board is similar to the Pumpkin but the nose is rounder. 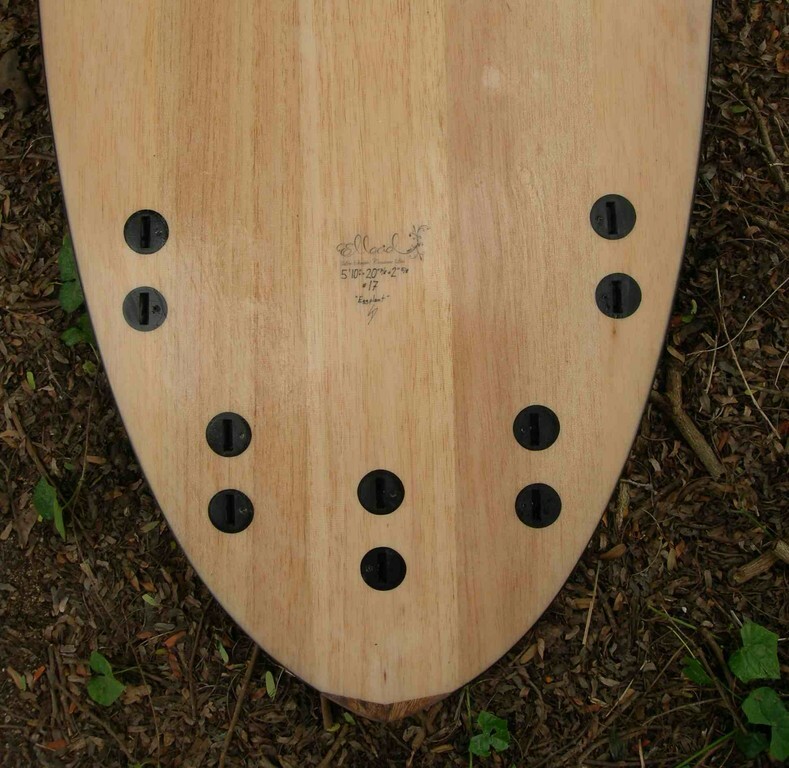 The eggplant have a concave deck (2.5mm balsa), a light single to V double concave bottom (2.0mm balsa), rails are 4 x 200g glass in dark purple, 5 FCS fin plugs and an air vent. 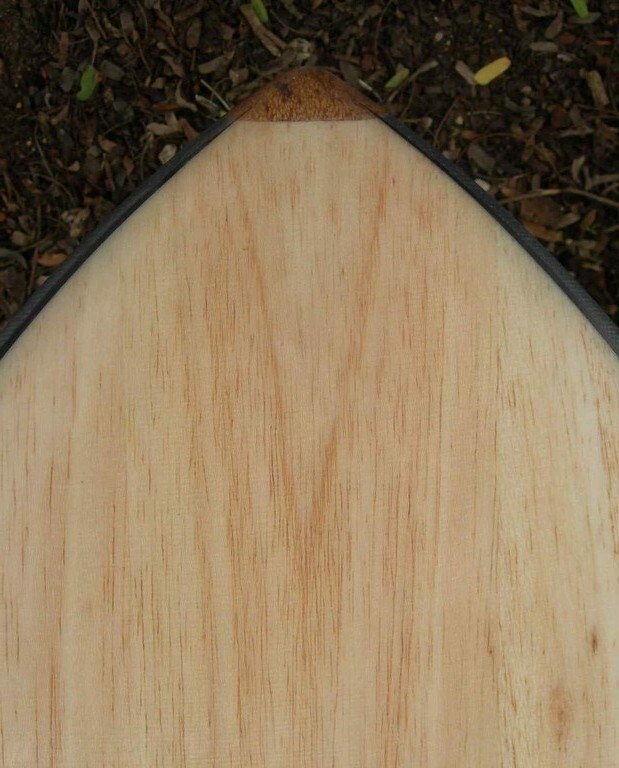 Nose and tail blocks are made with coconut tree wood.